What will Jewish life look like for your grandchildren – and their grandchildren? You can’t predict the future. But you can help shape it. That’s why a legacy gift to the Forward is so important. In its early days, the Forward helped Jewish immigrants as they struggled to become American. Today, the Forward helps American Jews with a different challenge: how to find Jewish meaning in a complex world. Then, as now, the Forward is an invaluable community asset. When you make a legacy gift to the Forward, you can help pass your values on to the next generation. With smart planning, you may actually increase the size of your estate and reduce the tax burden on your heirs, while making a meaningful contribution to Jewish life. By naming the Forward in your will or trust, you will join a special circle of champions who treasure the Forward as much as you do. Let us know you’re including the Forward in your estate plan, and we’ll welcome you as a member of the Abraham Cahan Legacy Society. With your permission, we’ll feature your name in the Forward’s Annual Report to recognize your extraordinary commitment to the Jewish future. Our circle of champions honors our founding editor, Abraham (“Ab”) Cahan, whose legacy looms large in journalism, and whose vision continues to inspire the Forward’s work today. Let’s talk about the legacy you’d like to leave. Please contact Suzanne Rose Shapiro, Legacy Giving Officer, at (212) 453-9444, or at shapiro@forward.com. We ask that you also complete the attached letter of intent to become a member of the Abraham Cahan Legacy Society. One of the easiest planned gifts you can make is to name the Forward Association as a beneficiary of your will. This bequest to the Forward may also reduce the taxes that would otherwise be paid by your estate. When making or revising a will or revocable living trust, you should obtain the assistance of a tax attorney or financial planning professional who can advise you and prepare the appropriate paperwork. Please remember to include either a percentage or a dollar amount you wish to give to the Forward Association, Inc. Our Federal Tax Identification Number is 13-0623590. Because the assets of your IRA, 401(k), 403(b), or other retirement plans are heavily taxed when left to loved ones, consider instead designating all or a percentage of these accounts to the Forward after your lifetime. That way, the entire value of the assets would directly benefit the Forward’s meaningful work without having to go through the expensive and time-consuming probate process. All you have to do is list the Forward Association, Inc. on the beneficiary designation form for a percentage of your account. The Forward can be designated as a beneficiary of your savings accounts, CDs and other bank accounts by designating your account as Payable on Death ("POD") to the Forward Association, Inc. The funds will then be distributed to the Forward without going through probate, and may result in a reduction in your estate tax. If you are 70 ½ or older, and have a traditional or a Roth IRA, you are allowed to transfer up to $100,000 for an individual, or $200,000 for a couple, per calendar year. To get the tax benefit in a particular year, you must make the gift to the Forward before December 31st of that year. There must be a direct transfer from the IRA to the Forward. The advantage of this type of gift is that the income from the IRA is not subject to Federal income tax and is excluded from your Adjusted Gross Income (AGI). It may even satisfy your required minimum distribution requirement. If years ago you took out an insurance policy whose original purpose no longer applies, such as providing for minor children, consider changing the beneficiary to the Forward Association, Inc. By doing this, you may receive an immediate income tax deduction, which may reduce your future estate tax liability. If the policy is in premium-paying mode, you may receive additional tax benefits when you make annual gifts to the Forward Association to cover the premium payments. When the policy matures, the proceeds are paid to the Forward. 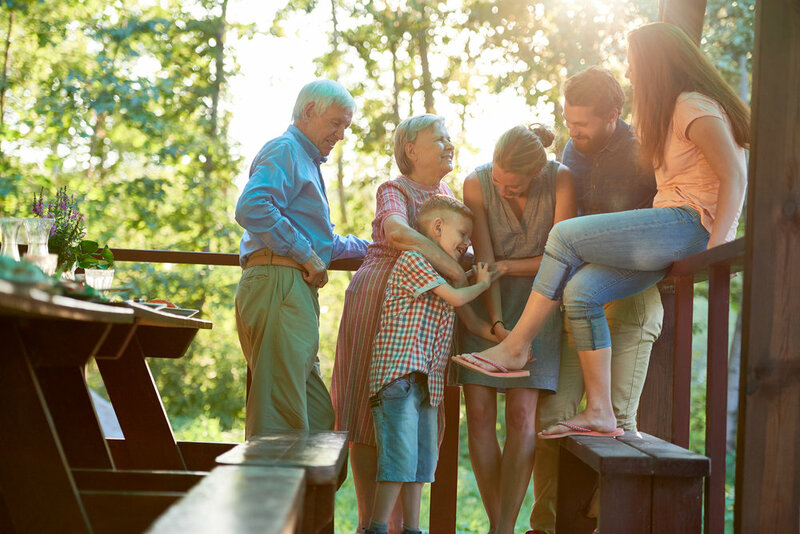 There are a variety of other legacy giving opportunities that may be available to you, such as charitable remainder trusts, annuities, and gifts of art or real estate. We are happy to discuss these options with you, your attorney, or your financial advisor. Your legacy gift will help the Forward meet the challenges of the future, to continue our tradition of the best in independent journalism for the next generation of American Jews. Contributions to the Forward Association are eligible for the maximum income and estate tax charitable deductions available for gifts to a public charity. For further assistance and information, please contact Suzanne Rose Shapiro, Legacy Giving Officer, at (212) 453-9444, or at shapiro@forward.com. You can also fill out the attached letter of intent to become a member of the Abraham Cahan Legacy Society. The material on these pages is for general information. The Forward Association does not render tax, accounting, financial, or legal advice. Please consult with your tax, financial, and legal advisors regarding your personal circumstances.